Ambitious efforts to prevent diseases like AIDS or malaria and pandemics like influenza or Ebola have substantially improved the lives of people around the world. These initiatives by public health officials, government-sponsored programs, and nongovernmental organizations (NGOs) have done more than simply advance global citizens’ health and well-being, however. While many government programs and NGOs lead these global disease prevention efforts, they all share a common trait. Knowledgeable, innovative, and dedicated public health officials guide each initiative in identifying goals, developing solutions, and making breakthroughs. To become an expert in the field, public health professionals typically need both graduate-level education and extensive experience. Earning a master of public health degree from the University of Southern California and specializing in global health or health services and policy could help future officials have an impactful career in global disease prevention. While diseases spread in the United States can certainly affect American citizens’ health, well-being, and quality of life, the U.S. Centers for Disease Control and Prevention (CDC) understand that the wide-ranging effects of many diseases can easily extend beyond borders. By participating in the Global Health Security Agenda (GHSA), the agency focuses on improving both national and international security through disease prevention efforts. To increase security around the globe, the CDC and the GHSA rely on a three-pronged effort. The initiative aims to prevent disease outbreaks and the emergence of harmful organisms, detect threats using biosurveillance methods, and respond to incidents with its worldwide network of operations centers. In just five years, the CDC strives to protect up to 4 billion people in 30 nations around the world. To further amplify global disease prevention efforts, the CDC also oversees the Global Disease Detection Program (GDD). This international initiative strives to address outbreaks when and where they happen, with the ultimate goal of preventing global epidemics and increasing global health security. The GDD operates out of 10 centers around the globe, where it focuses on creating effective public health systems that can detect diseases early and respond to outbreaks rapidly. The program strives to develop high-tech laboratories and train skilled workers, improve communications with partner organizations, and pursue research that can guide public health policy. In 10 years, the GDD has effectively responded to more than 2,000 outbreaks, detected 11 new disease strains, and established nearly 400 diagnostic tests to contribute to better health and improved health security around the globe. Worldwide epidemics are not new phenomena, but if left unchecked, they could create increasingly dangerous threats to populations around the world. Globally focused public health organizations such as the U.S. Agency for International Development (USAID) recognize that as nations and populations become increasingly connected, opportunities for viruses to spread can rise exponentially. An isolated outbreak could eventually impact the agricultural security, economic growth, and even education policy in multiple nations. USAID’s Emerging Pandemic Threats Program (EPT-2) pursues policies and research that seek to identify and mitigate pandemics, especially those that animals transmit. According to USAID, three-quarters of new diseases in humans result from microbes in animals, making this a vital focus area. To realize the program’s goals and maximize its impact, USAID actively seeks partnerships with national, international, private, and bilateral organizations. For centuries, influenza has threatened human health around the world. Since the spread of this virus has the potential to become a global epidemic, or pandemic, influenza could easily endanger national security and the global economy. To prevent the spread of this virus, the World Health Organization (WHO) directs the Global Influenza Programme (GIP), which organizes detection, strategy, and support around the globe. The GIP focuses on surveillance and monitoring strategies, coordinating the production of vaccines, and providing risk management guidance for public health officials. National efforts such as the U.S. Office of Pandemics and Emerging Threats contribute to global disease prevention with response efforts, leadership support, and policy development. The Global Fund considers the global effort to eradicate malaria an incredible success, as it lowered the number of malaria-related deaths by 50 percent worldwide between 2000 and 2015. Efforts to eliminate malaria completely are far from over, however. According to the WHO, an estimated 216 million malaria cases and 445,000 malaria-related deaths persisted in 2016, indicating that disease prevention efforts still have much to accomplish. The WHO’s Global Malaria Programme, the Global Fund, and USAID partner with other national and international organizations to educate people about malaria and prevent its spread by using mosquito nets and diagnosing and treating the disease quickly and effectively. As USAID explains, eliminating malaria can improve the health of at-risk populations in sub-Saharan Africa and the Mekong Delta as well as encourage economic growth and political stability in communities around the globe. Over 40 years, the Joint United Nations Programme on HIV and AIDS (UNAIDS) estimates that HIV has infected nearly 80 million people, resulting in 35 million deaths from AIDS-related effects. Since 1996, UNAIDS has pioneered HIV and AIDS detection, prevention, and treatment with a combination of advocacy, support, and leadership. The organization strives to promote human rights by increasing knowledge of AIDS and providing better access to HIV treatment. By 2030, UNAIDS aims to eradicate AIDS and eliminate it as a public health threat. To meet this goal, the organization’s 90-90-90 initiative focuses on achieving three key objectives before 2020. By this date, UNAIDS plans to ensure that 90 percent of those with HIV understand their status, 90 percent of those diagnosed with HIV receive antiretroviral therapy, and 90 percent of those receiving therapy also have viral suppression. Considered one of the most serious public health issues of the 21st century, antimicrobial resistance (AMR) reflects the growing number of infections and diseases that do not respond to antibiotic treatments. The U.S. Department of Health and Human Services (HHS) estimates that AMR affects 2 million American citizens each year and results in more than 23,000 deaths annually. Since AMR’s effects extend far beyond American borders and could impact how public health officials prevent diseases around the globe, the U.S. joined the European Union, Canada, and Norway to form the Transatlantic Taskforce on Antimicrobial Resistance (TATFAR). This multinational organization focuses on methods for preventing AMR-related infections, usage of existing microbial drugs, and strategies for developing new antimicrobial drugs. Along with the WHO’s Global Action Plan on AMR, TATFAR aims to improve the efficacy of antimicrobial drugs and mitigate AMR spread worldwide. Although the United Nations Children’s Emergency Fund (UNICEF) focuses its efforts primarily on children, the organization also strives to improve women’s health and well-being. UNICEF considers immunization to be a basic right for all women and children, as vaccines can prevent both disease and poverty. 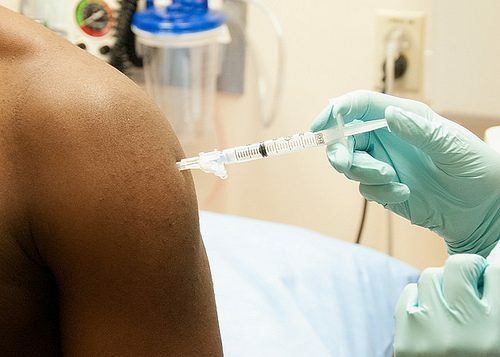 According to UNICEF, vaccines generally save up to 3 million lives annually, yet about 1.5 million children lose their lives each year to diseases that immunizations could prevent. Vaccines aren’t readily available everywhere, but UNICEF strives to provide them to the communities that need them most. Through its Immunization Programme, the organization partners with NGOs and government agencies to vaccinate children in both remote and easy-to-reach locations, lower the price of key vaccines, invest in new health technology, and eradicate debilitating diseases. An estimated 75 percent of the new diseases humans experience result from microbes that animals transmit. To stop disease spread and prevent pandemics, organizations like USAID partner with many other organizations to guide health, agricultural, education, and economic policy. AMR could be the most significant infectious disease threat today, according to HHS. Its global impact has already been substantial, but the growing reach of TATFAR reflects a multinational commitment to eradicating this serious public health concern. Preventing disease through routine vaccination can improve both health and economic stability. “Increased investments on immunization in low- and middle-income countries could avert up to 36 million deaths and 24 million cases of impoverishment due to medical costs,” UNICEF reports. Leading global disease prevention efforts can give ambitious public health professionals the opportunity to make a positive impact around the world. Visit the Keck School of Medicine of USC to learn more about the online master of public healthdegree and discover how this graduate program could help shape a rewarding career path. 1. What excites you most about the USC online MPH? What excites you most about the USC online MPH? 2. Which track are you most interested in? Which track are you most interested in?